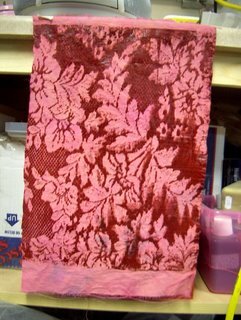 I'm in love with this piece of fabric, I can't wait for the curing process to be done with, about 3 weeks this time of year. I can then wash it and get to the business of stitching it. Should have taken a better pic of it too, it's screen printed with lac over a cochineal immersion bath on silk dupioni.